Looking to build a profitable income stream online? Why not try affiliate marketing! For years it has been said that before you can make money online you need to have your own product or deliver a service. But I am here today to put that myth to bed; you can totally build a serious income stream online that pays you 5 figures per month, thanks to affiliate marketing. 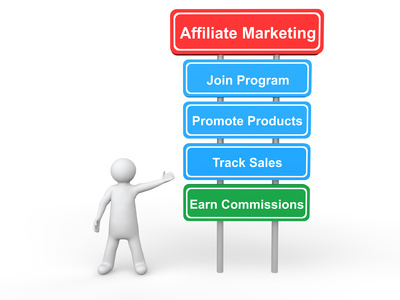 Affiliate is simply recommending product and services to other people, you make a commission when you make a sale. No drama, no fluffs, no cutting corners, nothing is hidden; it is as simple as that. In fact, the best part of affiliate marketing is that you already know how much (percentage) you will earn before promoting the product or service. With affiliate marketing, you don’t need to be tied down to a desk, learn complicated programming language or even create a product, none of that BS, all you need is to find a niche you are passionate about, build a website (simple to do these days), get traffic to your site, and the sales and commissions will start to roll in. 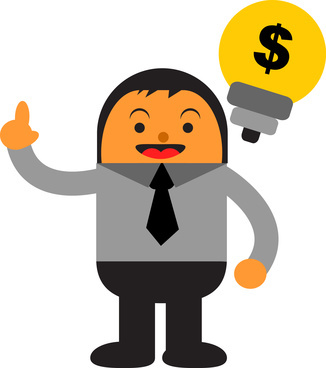 In affiliate marketing, the amount of money you can earn is only limited by the effort you put into it. The potential to build a serious income stream with affiliate marketing is huge. I mean you could possibly be earning 5 to 6 figures of income within a years time. That will take a lot of effort and learning, but it is not impossible. Some of the top affiliate marketers are doing it. When I say 6 figures income in affiliate marketing alone, there are some people who are already making it and no, they are not robots, they are real humans with fLesh and blood just like you. You don’t have to start making 6 figures today, this month or even this year, but you can start with $100 per month and grow from there. The ball is in your court like I said above, the potential to build a second or even full-time income from affiliate marketing is huge, and you are only limited by your mindset and effort. Ok guys, there you have it. You can do more research on these guys mentioned above or visit their website to see how they are doing it. But the fact is that making serious income from affiliate marketing is real. Can I Make Money From Affiliate Market and What Do I need to Get Started? If you have ever recommended a mall or point out a shop to a stranger, then you can make money from affiliate marketing. The simple way to see affiliate marketing is getting paid for recommending a product or service to buyers. The best part is that anybody can do it. You only need a computer, internet connection, and the right mindset to start making money. Once you are ready, you can choose a product you want to promote, you get paid anytime you make a sale. The best way to get started is to select a niche that you are interested in. Let’s say you love gardening, so you build a website targeting people who are into gardening. Then you create content using keywords related to your niche that attract visitors to your site. Once on your site, they are able to purchase products through your affiliate links. Anyone who is looking to generate a little more income from affiliate marketing can sign up on any of these websites above and start making money right away. You can get instant approval in almost all of them. Even if you have a full-time job, affiliate marketing creates an avenue for a second stream of income. Once you get the hang of it, you will be able to spend less than 2 hours per day on your business and still get results. When it comes to getting started in affiliate marketing, you don’t need to reinvent the wheel, you simply need the right training to guide you along the way. I only recommend one place to get started and that would be Wealthy Affiliate. WA has everything you need to start affiliate marketing the right way and the best thing is you can check it out for free. All you need to do is click on the banner below to create your free account. Take action today and your tomorrow will thank you for it.